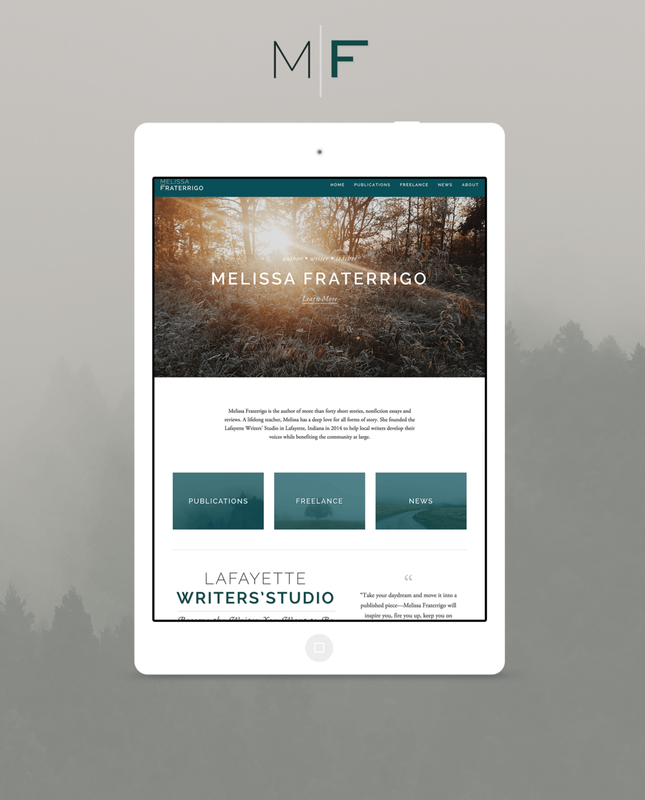 About the Project: Melissa Fraterrigo is a writer who runs the Lafayette Writers' Studio. She wanted to create a personal site for her writing career that was professional but warm, and versatile to support the many aspects of her writing career, including teaching, fiction writing, and freelance. I spent time exploring her writing to help achieve the right tone with the colors and style, while still being encompassing enough to relate to the other aspects of her career. A graphic for the Lafayette Writers' Studio was created to match the main logo. The site homepage was designed by me using Squarespace, with the rest of the site created by the client.